To talk about purchase agreement extrusion machine we intend to move machine to our factory. 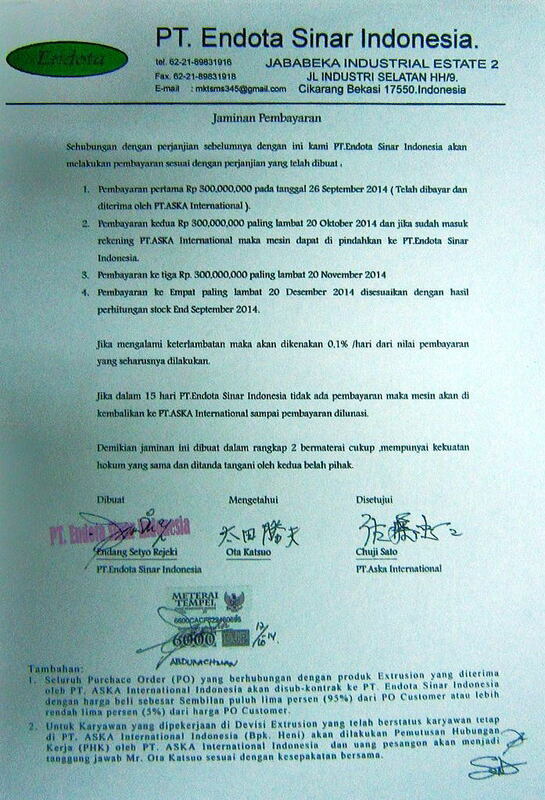 We hope sato san can read back the agreement . Thanks you for your attention and very good cooperation.